We’re just on our way back to the hostel after a long but fantastic day in York. We started with a visit to the National Rail Museum where we got to see amazing examples of trains right from Stephenson’s Rocket up to the Japanese Bullet Train. 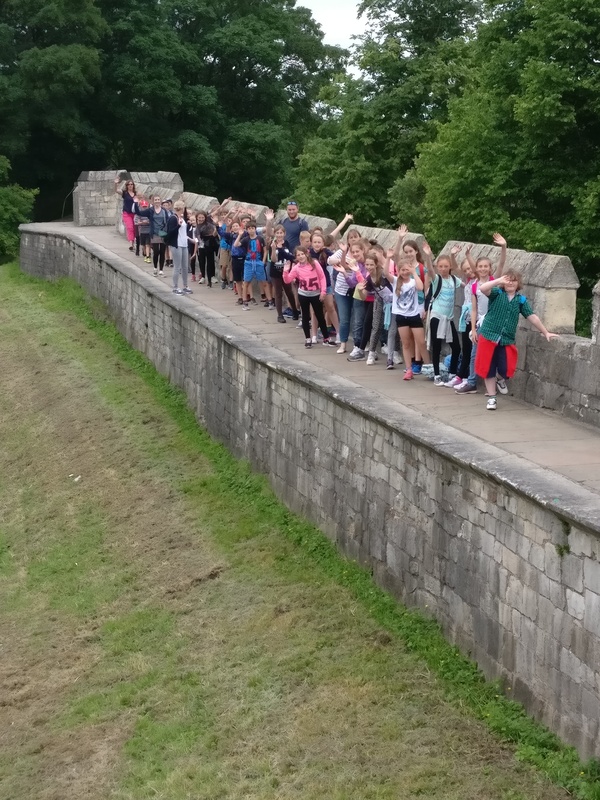 After that we learnt about the history of York at the Jorvik Viking Centre and DIG archaeology experience then took a stroll around the old city walls. We finished the day with a veritable feast at Cosmo. Throughout our stay so far the children have been complimented on their politeness and behaviour. They have really done us proud. Follow the link to see the photos from Scarborough ’17 Day 2. Previous Post Caption Competition Time! Brilliant, the railway museum is magnificent. I am pleased to learn you all had a good time at Cosmo. What a treat ! thank you for sharing the news from sunny Yorkshire.